We made it. 2016 is finally coming to a close and based on the commentary all over the internet, I think we’re all more than happy to close the door on this year. As one of my friends remarked on Facebook, this wishbone is all of us. 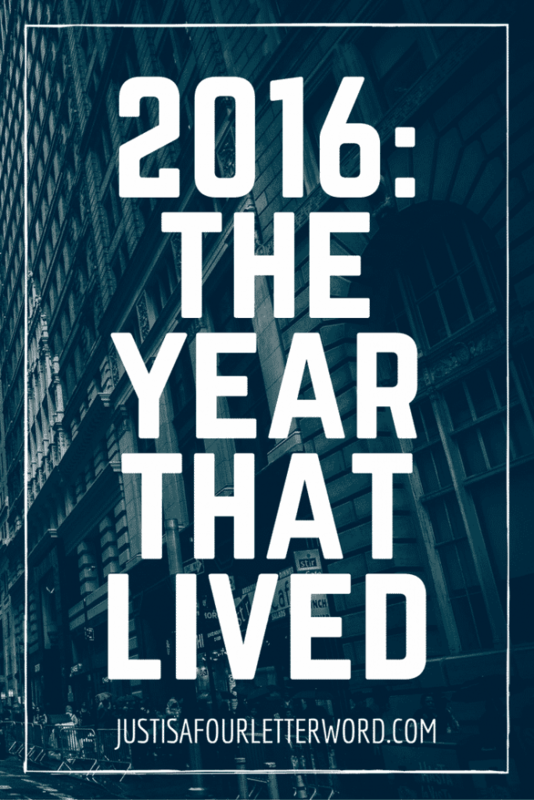 2016 was the year that lived. Somehow, through the craziest election in my lifetime, the loss of many beloved people famous or not, and the uncertainty of the world around, 2016 limped to the finish line and many of us right along with it. Well, first of all we can close the door on 2016 knowing we survived. At this point, that is enough for me. As I mentioned in this week’s newsletter (subscribe here!) we may not have all the answers, but we get to be part of the 2017 story. We get to move forward and contribute to the answers. This is no small thing. The more I read and observe about 2016, there seems to be a mentality that 2016 was a bad year that “happened to us.” And yes, there are quite a few things that happened outside our control. Indeed, that will not change with the new year. Life has a way of taking over and we can either adapt or be crushed under the weight of it all. The first couple weeks of December were exceptionally busy for me. We had planned a longer than usual vacation for Christmas with visits at both Walt Disney World and to see family in Alabama. I needed to wrap up my work so I could hand it off, pack up for 12 days of travel, wrap all the Christmas gifts and send out our holiday cards. The only way I was able to get everything done was to be intentional with my actions weekly, daily and even down to the hour. Not only was December insanely productive, I actually felt pretty good on most days! Sure there was occasional stress, but breaking my tasks down in an intentional way meant I accomplished more and was able to fully enjoy our time off. Being intentional is about more than simply checking boxes. Yes, getting organized is a good thing and something we all strive for (especially at the start of a new year). But I am also embracing intentionality with my family, my relationships, my health and my prayer-life. Last year I really felt comfortable in my own skin. This year, I want to pay it forward. In some ways, yes, life “happens” to us. The choice we have is to decide what type of people we will be when it does. It’s the classic story of the grasshopper and the ant. Will we prepare for the inevitable hard times or continue to be surprised by them? It’s not fatalism to anticipate trouble. As my husband says, plan for the worst and hope for the best. I’m great at the hoping part and this year, I’m upping my planning game. I want to be part of the solution and that means being ready to face the crazy this year brings. Yes, I realize I’m quoting the villain from The Hunger Games with this one, but hear me out. In 2017, losing hope is not an option. Not as a person, not as a mother, an employee, a friend, or as a nation. I know we are done with 2016. It happened, we endured, and we have 2017 as a clean slate. But we still have to be strong and intentional about where we put our trust and how we allow our hope to grow. Because it has to grow and that will only happen by being intentional with our love, how we spend our days, what we do and how we give. 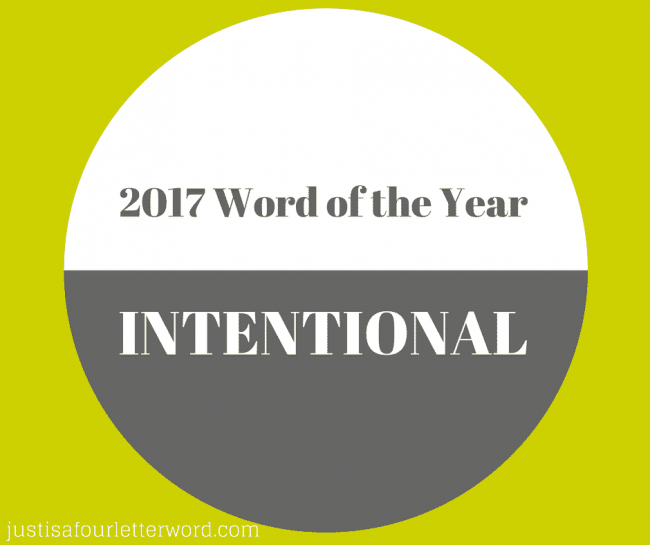 This is what being intentional in 2017 means to me. It’s not about being better or doing more but being aware of my why and the space I take up here in Raleigh, NC. I’m teaching my boys how to figure out a world that often makes no sense. I’ll make plenty of mistakes as I go, but my hope is greater than my fear and I can hold onto that. Are you ready for 2017? If you have chosen a word for the year, I’d love for you to share it in the comments!